Speedy Route has always calculated the best optimal route between your route's locations. However until now, the route calculated has not taken into account the time of day you will be travelling. We're very pleased to announce that Speedy Route can now optionally calculate routes taking into account the current real-time live traffic conditions, as reported by Google Maps. 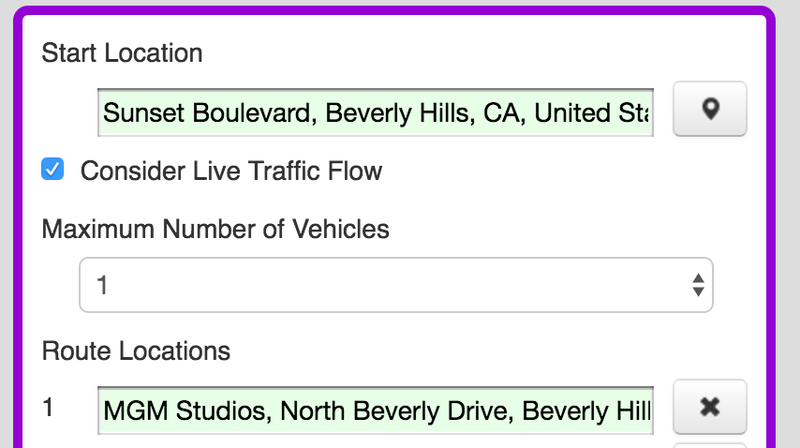 When the 'Consider Live Traffic Flow' option is checked, Speedy Route calculates the route to be optimal in the current road traffic. 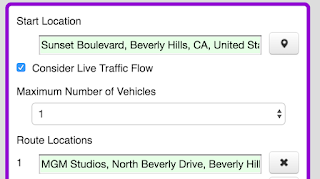 Please see our new blog article for more details, and an example of a 'Consider Live Traffic Flow' route calculation.